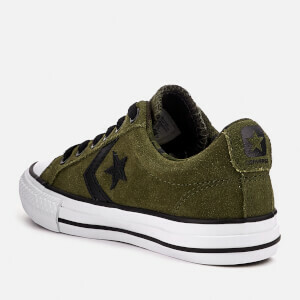 Kids’ ‘Star Player’ low top sneakers from Converse. 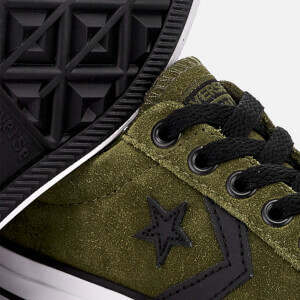 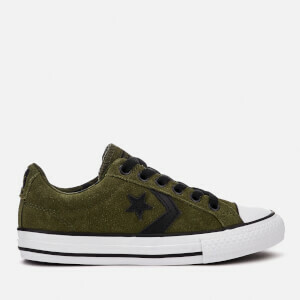 Cut with khaki green suede, the trainers fasten with flat black laces and feature a durable rubber toe cap, tonal stitching and leather star overlays to the sides. 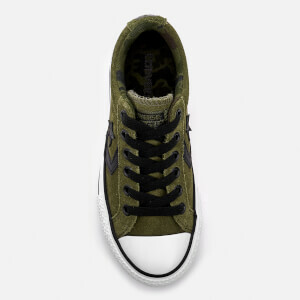 Set upon the signature white rubber sole with black stripe, the shoes are finished with iconic branding to the tongue and heel.